An adult position bar indicates the present position of a volunteer in the Girl Scout organization. It is to be worn centered between the World Trefoil Pin and membership pin. 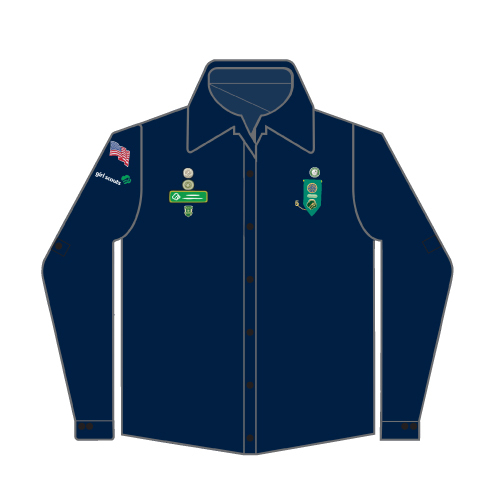 A maximum of two position pins may be worn on the uniform sweater or blouse, side by side, centered between pins above and below. On the insignia tab, place position pins one above the other.